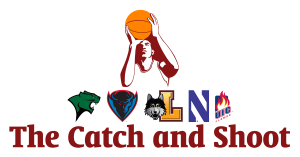 Every week The Catch and Shoot will name a Player of the Week, Freshman of the Week, Team of the Week and Game of the Week from the five Division I schools in the Chicago area. James averaged 19.5 points and 8.5 rebounds in two games last week. The 6-foot-7 senior led the Ramblers with career-highs of 28 points and 14 rebounds in a victory against Indiana State. While the entire team struggled earlier in the week in a loss to Wichita State, James once again paced Loyola with 11 points on 4-of-9 shooting. After not playing Jan. 23 against Utah Valley, guard Fred Sims Jr. returned for Chicago State and exploded for 26 points on 9-of-18 shooting. Sims is now averaging 11.1 points this season, and this was his third game with more than 20 points. The Flames had been the final team in Division I without a win against another Division I team, but that ended Saturday with an overtime win against Cleveland State. The Ramblers lost control of an 11-point lead in regulation and trailed in overtime. Senior guard Earl Peterson banked in a jumper to force a second overtime, and then Loyola ran away for the eight-point victory.